There are reports that Las Vegas is number two on a list of potential NHL expansion cities behind Seattle. 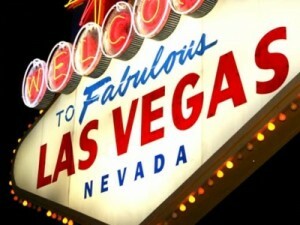 Las Vegas is the largest city in the U.S. that does not have any professional sports teams. There are two reasons for this. The population in Las Vegas could not support a sports team until the last 5-10 years. Sports leagues have also been reluctant to entertain the idea of a Las Vegas team due to legalized sports betting. The major sports leagues have shunned Las Vegas due to its legalized sports betting. The leagues are so against the expansion of sports betting that it successfully challenged a New Jersey law that would have allowed Atlantic City casinos and New Jersey off track betting parlors to offer betting on professional and amateur sports. The lower court rulings can only be overturned by the U.S. Supreme Court, which has yet to hear the case. The sports leagues argued that the Professional and Amateur Sports Protection act does not allow New Jersey to regulate sports betting because the state is not exempted under the law, one that was sponsored by a New Jersey U.S. Senator and passed in 1992. The leagues also successfully defeated an attempt in Delaware to legalize straight sports betting, even though the state is exempted under the law. The courts ruled that Delaware could only offer NFL parlay cards, the same type of wagering it spread in the past. The courts found that Delaware was not exempted for other types of sports betting. The NHL was a party to both lawsuits. This goes against existing policies in Canada. Provincial lotteries in Canada write sports betting tickets through Sports Select. The NHL is among the sports offered. The NHL seems to be fine with this. Some Canadian lotteries provide revenue for the clubs. Other teams that do not receive a cut of the action have voiced their displeasure. There is one difference between Canadian sports betting and what is offered in Nevada. Canadian bettors must pick two or more outcomes. Nevada allows straight sports betting on a single outcome. There is a bill pending in Canada that would allows single sports betting in an attempt to compete with offshore sports books and help casinos that border the U.S. draw new players. Las Vegas exploded in population during the 2000’s. The metropolitan area posted population gain of over 40 percent between the 2000 and 2010 census. Only two other metro areas posted a larger gain on a percentage basis. The Las Vegas Valley is now home to over 2 million people, making it the 31st largest metro area in the country. It is now larger than eight markets that host the NHL. Four of these cities are in the U.S. – Buffalo, Raleigh, Columbus and Nashville. There is some concern that the number of tourists in Las Vegas may create a situation where visiting fans would populate the games. This seems unlikely. Clearly, some neutral or visiting fans would attend the games, but the number of tourists in Las Vegas at any given time is only about 15 percent of the Las Vegas Valley’s population. Also, NHL games are not going to be a focus for most tourists that are visiting to gamble, enjoy fine dining, and go to nightclubs. An NHL team would have a complete monopoly on the Las Vegas market in terms of professional sports. It would also not have to share a facility with an NBA team, an inconvenience shared by many NHL teams. The arena being built behind the New York-New York Casino is in a good neighborhood and within a 20 minute drive for nearly all metropolitan residents. An expansion team or one relocating will not have to worry about negotiating for a new arena. One being built by MGM Resorts will already be available just off the Las Vegas Strip. It will also not be owned by a municipal government. This means less red tape when it comes to needs for the facility, including future remodeling and upgrades. Las Vegas is ready for a professional sports team. The venue is under construction and the population is there to support it. The city has an above average income, including a large single and affluent retiree population with above average disposable income. Las Vegas is known for its partying, but beyond the Strip, it is just another city. People raise families and there are hundreds of thousands of jobs that are found in any city. There is no reason for the city to continue to get snubbed by major sports.